Youth Net and Counselling (Yoneco) completed the 16 days of Activism Against Gender-Based Violence (GBV) with a call to people of Mulanje to continue stepping up efforts to end GBV among school children. Yoneco Executive Director McBain Mkandawire made the call on Sunday, the last day of observing 16 Days of Activism Against GBV. “Our focus this year was on school children. We have observed that there is a lot violence happening at community-level that deters children particularly girls , from going to school,” said Mkandawire. In his remarks, Christian Aid project officer for Adolescent Girls and Young Women Andrew Bita said they are satisfied with the impact the campaign has had so far. 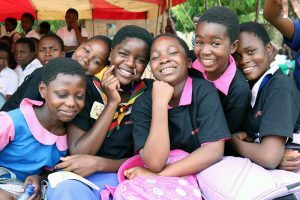 “Yoneco has commemorated the 16 Days of Activism courtesy of Adolescent Girls and Young Women Project, currently being implemented with funding from Action Aid through Christian Aid. The Chairperson for Mulanje District Council, Councilor Charles Kapata, applauded YONECO for the activities which the organization conducted to prevent occurrence of Gender Based Violence (GBV) through awareness raising activities.